Wattson Solar Plus is the only wireless portable energy monitor showing both electricity generated and used in the home. Smart technology pioneer Energeno is announcing an exciting “world first” upgrade to its Wattson Anywhere system. For the first ever time for an inverter independent system, Wattson Anywhere displays real-time savings provided by auto-consumption of home produced energy. Combined with the company's Optimmersion® and Optismart® Hot Water products home owners can now see how much of their surplus generated electricity has been diverted to their hot water cylinder or heat storage system. This world first ability augments Energeno’s comprehensive ecosystem giving installers the range of energy storage, intelligent switching, control and remote monitoring solutions that they need in today’s market. This follows on to Energeno's autumn launch of their new look Optimmersion® product, which added important new features to a product which has been a huge winner for Energeno. helping users boost self-consumption by automatically diverting renewable energy to their hot water tank if they have one. The Wattson Anywhere upgrade brings it into line with Optimmersion®'s smartphone-like display with touch screen controls shows at a glance how much energy is being generated, diverted and exported. It can cope with a multitude of load types, resistive and non-resistive, as well as batteries of various types as well as working in a 3 phase environment. It has been stated in the trade press that power diverter products that use phase angle as their power control method will exceed the levels for harmonic emissions and may cause overheating effecting neighbourhood properties. We would like to reassure our customers, installers and distributors that the Optimmersion, Optismart Hot Water and Optimmersion Classic products are perfectly safe and include extensive filtering so as to meets EMC standards and not to cause interference to other devices. The Optimmersion products meet EMC standards for flicker (EN61000-3-3) and EMC immunity and emissions, including radiated and conducted emissions EN 55022 Class B. We are confident this will satisfy any DNO’s concerns relating to electrical noise on the network created by these products. The UK manufacturers that make our bespoke power throttles, have been producing similar products since 1964 and continue to supply various devices worldwide. The number of installations of our products now runs into four digits, and we have not received a single complaint connected with EMC issues. Mark Elliott is interviewed at Solar Energy UK about the new products launched this autumn. Energeno launches second generation Optismart® range to bring free hot water to renewable energy generators everywhere. Smart technology pioneer Energeno is announcing its exciting new Optismart range at Solar Energy UK 2014. These new products augment Energeno’s comprehensive ecosystem giving installers the range of energy storage, intelligent switching, control and remote monitoring solutions that they need in today’s market. For the first time, the 50% of homes without hot water tanks can benefit from free hot water thanks to Optismart® Heat Store, created through a partnership with Sunamp, a global leader in the supply of heat storage solutions. Sunamp batteries store heat and not electricity, they can be super efficiently charged using heat pumps, where one unit of electricity in can store three or more units of heat into a heat battery. Optiwash® helps maximise self-consumption by automatically powering any appliance with a washing/cleaning/drying cycle and offers a peace of mind feature ensuring that washing is completed by the end of the day. This product enables households to solar power their major appliances, along with the successful Optiplug® intelligent socket launched last year. Energeno is also launching a new look Optimmersion® which adds important new features to a product which has been a huge winner for Energeno helping users boost self-consumption by automatically diverting renewable energy to their hot water tank if they have one. Optimmersion is now quicker to install thanks to auto calibration and its smartphone-like display with touch screen controls shows at a glance how much energy is being generated, diverted and exported. It can cope with a multitude of load types, resistive and non-resistive, as well as batteries of various types as well as working in a 3 phase environment. Energeno manufactures smart solutions for renewable energy users to help them boost self-consumption and realise the full benefit of their generated power - from energy storage, through to intelligent switching, and remote monitoring and control. Wattson, Optismart®, Optimmersion® and Optisave® are designed to help people save money through energy savings and ensuring the proper performance of their renewable energy systems. Energeno is launching a second generation version of its pioneering wireless Optismart® range which lets homeowners power a range of devices using up to 100% of their green energy. These can now include Sunamp batteries which store heat and not electricity, allowing homeowners without immersion heater tanks to still benefit from instant free hot water. Energeno and Sunamp to bring free hot water to renewable energy generators everywhere. For the first time, the 50% of homes without hot water tanks can benefit from free hot water thanks to a partnership announced today between renewable energy technology leaders Energeno and Sunamp. By combining their proven solutions, the partners are determined to help renewable energy users boost self-consumption whatever their home heating systems. Energeno manufactures smart solutions for renewable energy users to help them boost self-consumption and realise the full benefit of their generated power - from energy storage, through to intelligent switching, and remote monitoring and control. Wattson, Optismart, Optimmersion and Optisave are designed to help people save money through energy savings and ensuring the proper performance of their renewable energy systems. Energeno is launching a second generation version of its pioneering wireless Optimmersion which allows homeowners to power a range of devices using up to 100% of their green energy. These can now include Sunamp batteries which store heat and not electricity allowing homeowners without immersion heater tanks to still benefit from instant free hot water. ZNSHINE SOLAR, a leading manufacturer of mono- and polycrystalline photovoltaic modules, equipped a residential rooftop installation of 4 kWp in Weston-super-Mare in the Southwest of England and did a case study showing it's efficiency. The PV system was installed on a roof of a house in the coastal town, which is located on the Bristol Channel coast in North Somerset, 18 miles south west of Bristol. The monitoring of the PV system started in 2012. The owner of the system, Andy Trewin, uses approximately 30% of the produced energy for his own needs, 70% are fed into the grid. In the UK all 100% of the energy produced provides returns in terms of FITs. Andy has the PV system monitored by a professional monitoring system Wattson Anywhere and Wattson Solar Plus, produced by Energeno. The PV plant feeds data through Optismart Gateway to an online portal dedicated to the PV system, which is monitored in real time. 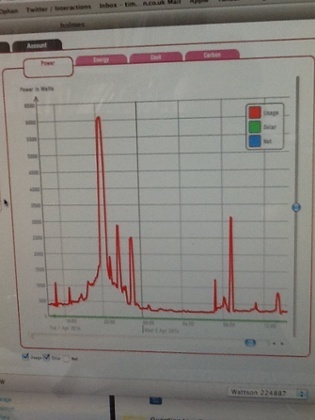 Under the following link the PV plant’s energy use and PV generation can be followed live with Wattson Anywhere. “I am delighted to have a PV installation containing modules by ZNSHINE SOLAR on my roof and to be able to generate energy for my own consumption thanks to solar energy. I am very satisfied with the outcome of the PV system and the quality of the technology. Thanks to the PV plant, I have received payments of more than £4200 in two and a half years for the electricity generated and saved over £500 on my electricity bills. With Wattson Anywhere I can see how much money I´m saving when I´m on the go.”- Andy. Energeno have been at the forefront of highly-innovative, energy efficiency products for quite some time now. 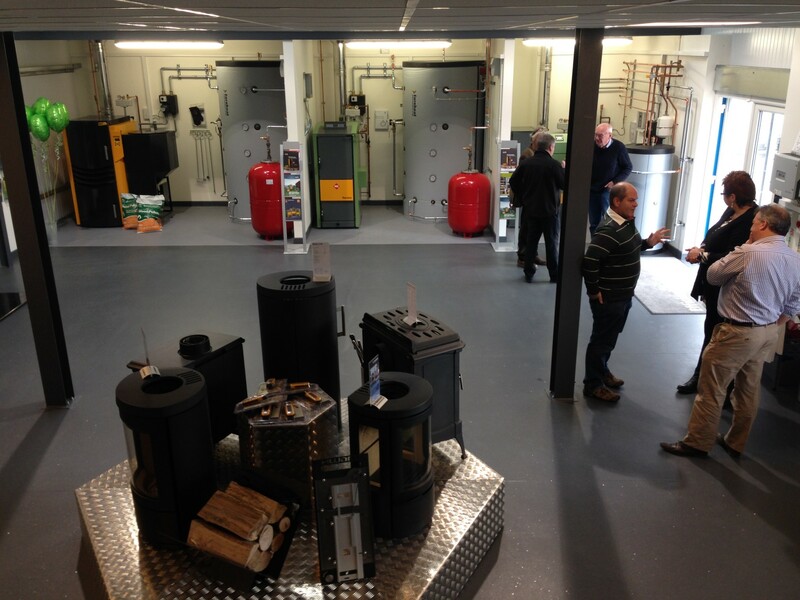 Due to their technical knowledge, the quality of their products and the excellent customer service they provide, Genius Energy have chosen Energeno as their supplier of high quality immersion heating technology, which provides customers with a great way to utilise energy even more, as well as increase their green credentials and save an abundance of money in the process. This technology is especially popular with customers because utilising it with a solar panel system can effectively provide you with enough returns to pay for the immersion system after just two and a half years. After this point, customers will see YEARS of profit thanks to the reliability of the system. Not just a money saver, but a very attractive investment. The technology works by taking surplus power generated (from solar for example) and diverting this extra energy to heat water in your immersion tank. In fact, the immersion controller is intelligent enough to start utilising the benefits of this surplus energy with as little as 50 watts excess energy maximising hot water which is extremely important in shorter winter days. Genius Energy are the largest installer of privately owned renewable systems in the UK (including solar panels, biomass, solar thermal and much more) with an outlook to saving money for homes and businesses, so you can be sure they only look for the best technologies for their customers. Genius Energy’s Phil Harding (installations manager) had this to say, “We are truly excited to be working alongside Energeno. They have the best and most innovative products in the field and we look forward to a long lasting partnership”.. The SEACS project is a cooperation project funded by Europe between local authorities in Devon, Dorset, Wiltshire and Cotes D’Armor and Lannion-Trégor in Britanny, France. It aimed to share best practice on energy efficiency and behaviour change. This campaign aimed to support Wiltshire staff in being energy efficient when working from home. The campaign ran from January 2013 to February 2014, with an introduction to the campaign being displayed during climate week March 2013 and the full case studies, findings and advice being displayed in 2014. The Wattson monitor works out your average energy usage and displays a colour which indicates if your current use is above or below that level. This was seen as hugely beneficial by users as they were able to tell at a glance how they were performing. They also found that this was a simple way of engaging younger family members and friends; this could explain the slight elevation of Wattson users score in the “community” section of the matrix. On the whole users enjoyed the real-time display of their energy use but weren’t as keen to utilise the software and understand their energy consumption patterns. Cut your energy use at home by half using Wattson: the challenge. Tim Dowling works from home, has a busy family life, and likes the odd shower. Heartless creatures that we are, we challenged him to cut his energy use at home in half. What did he have to resort to in order to reduce his energy use by a whopping 50%? Tim Dowling: The basic idea is simple: I mean, if I am able, to cut my energy use in half, just by changing my habits. First, however, I need to know how much I am using normally. For electricity that's easy. A week early Richard Woods from Energeno showed up with a Wattson meter, which displays the amount of juice you’re drawing off the grid in real time. The box was bigger than I imagined it would be, and looked like a minimalist MP3 player. “It’s designed to have a bit of presence,” he said. It’s meant to sufficiently imposing, I suppose, to stop you consigning it to a dusty drawer. You need to be able to see it whenever you walk by in order for it to work on you psychologically. Ironically, I have hidden it in a drawer for the first week, on Richard’s recommendation, so that it won’t influence my normal usage. Richard put it on the kitchen worktop, plugged it in and switched it on. “Why does it say “Ow”?,” I asked, pointing at that on the Wattson’s LED display. “That just means ‘zero watts’,” he said. He disappeared into the cupboard under the stairs to clip a transmitter to the wires leading into the electricity meter. The Wattson began displaying numbers in kilowatt hours, and then, with a quick tilt, in tonnes of carbon, and finally, in money. Read full diary-style article here and see whether Tim managed his challenge. Chinese inverter manufacturer, GoodWe, has installed its first energy-storage inverter in the UK. The company’s EnerStore series bidirectional energy-storage inverter has been installed in a 400-year-old barn conversion in Cambridge. During daylight hours the home PV system generates electricity that is used to either meet the household’s load; feed into the National Grid or, to charge the battery in the inverter. Any energy stored in the battery can be released when the load demands it. In addition, the GoodWe inverter is capable of being charged from the grid via the inverter. GoodWe’s energy storage inverter is a result of recent collaboration with London-based Energeno, designers of the Wattson Solar Plus energy monitor. GoodWe claims that the partnership has resulted in “sophisticated control” for the EnerStore system. The company acknowledges that energy storage devices are not yet common in the UK but is predicting that the market will grow rapidly. Wattson Solar Plus certified showcase for the London Challenge as part of CityMart call for solutions. Citymart.com helps you find available solutions that meet the needs of cities and improve the quality of life for citizens. Wattson Solar Plus shows in simple numbers and colours how much energy is being used in the home. Uniquely, it shows how much energy is being exported by the homes' Solar PV system to make best use of excess electricity generation. The solution even goes as far as pairing with other smart switches and solutions to make automating in-house consumption as easy as possible. 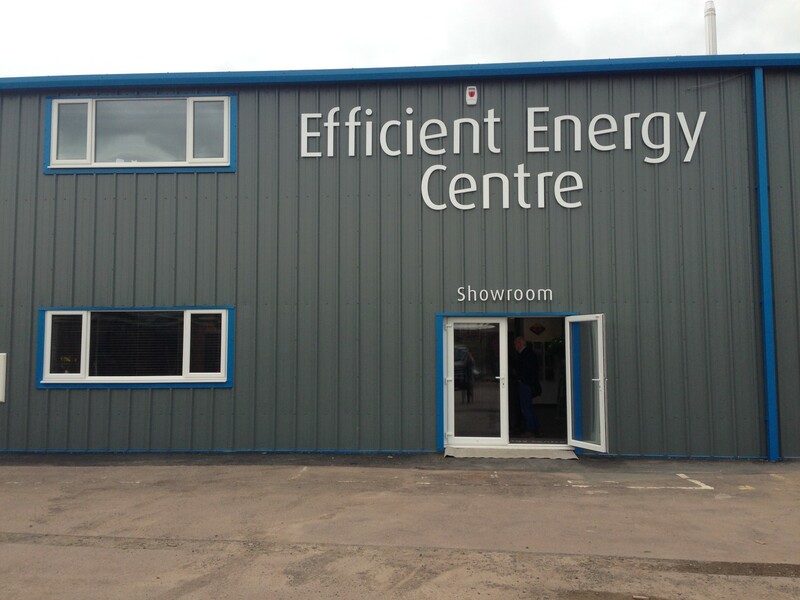 Optimmersion Wireless sits proudly at the heart of the Efficient Energy Centre in Hereford's showroom. Allan and Sophie, showroom managers have installed an Optimmersion Wireless right next to the inverter as you come in to the show room. The power throttle is connected to the immersion heater of a 300 litre tank, that is also fed from a pellet boiler. Allan is extremely happy with the Optimmersion system, saying that he has been able to turn off the pellet boiler and only expects to have to turn it on in the winter. The thermostat on the side of the boiler showed the water inside to be at 60° and the 4kW East facing PV had produced 16.5kW today. Visitors to the showroom have been very curious and enthused about the system, already leading to pre-orders for Allan and Sophie. Click here for more information about the Efficient Energy Centre. Look out for our advert in this month’s issue of Renewable Energy Installer Magazine. We are promoting all versions of Optimmersion and are directing potential buyers to Optimmersion distributors. Please inform Energeno if you would like to stock Optimmersion and feature in future adverts. Click here to read the issue, we are on page 20. With the introduction of the wireless Optimmersion last month proving to be a hit, Sungift would like propose a special offer for those of you on the edge and not quite knowing if to take that leap into changing over. The latest stats show the Optimmersion streaks ahead of their competition so now is the time to start offering this product to your customers. For your first Optimmersion order from SunGiftTrade we would like to offer you the one off price of £250 ex VAT ex Delivery so you can see for yourself just how beneficial the Optimmersion really is! The Energeno Wattson Classic energy monitor is an attractive piece of kit. It has a clock and mood lighting to indicate energy usage. It will also track your historical data if you go online. But is this energy monitor worth the hefty price tag? Does it give accurate readings, and how easy is it to install and use to track your energy usage? We sent it to our lab to find out. I have this and have solar panels. It makes life easy quick and very visual. The light is green when I am producing more energy than I am using thus reminding me instantly that I can put on the washing machine or dishwasher etc without it costing me anything. Whilst it may not be the best for people without solar I would highly recommend it for those with.